We enjoyed our stay in bustelli rooms, the layout of the grounds was really nice and comfortable, the gardens we're lovely and staff were nice. Over all it was a nice accommodation and okay value for money, rooms was partially small and shower was there but very small but we had enough room here for 2! Great host, pretty room with access to garden. Private, lovely. I'd stay there again for sure. Its quiet and rooms are clean. Host is also picking up guests at the port. The owner is very kind and nice. I asked from him two items that I needed for my personal use (not something that were missing in the room!) and he looked all over his house to find for me what I needed and provided it to me with his generosity. The rooms are nice and convenient, there's soup for use and towels, I took a single room and it is just what I needed, a bedroom with a private bathroom. Thank you for making me feel like home. Very well located place, very clean and nice staff! It`s a lovely, save, clean and friendly place!! Great view also from the window! The owner was very friendly. The two backyards were really cute. It is within a 10’ walk from the port approximately. We are very happy with the room and Manthos is very nice and polite, always willing to help us with our questions. I will stay there again. Lock in a great price for Boussetil Rooms – rated 8.5 by recent guests! One of our best sellers in Tinos! 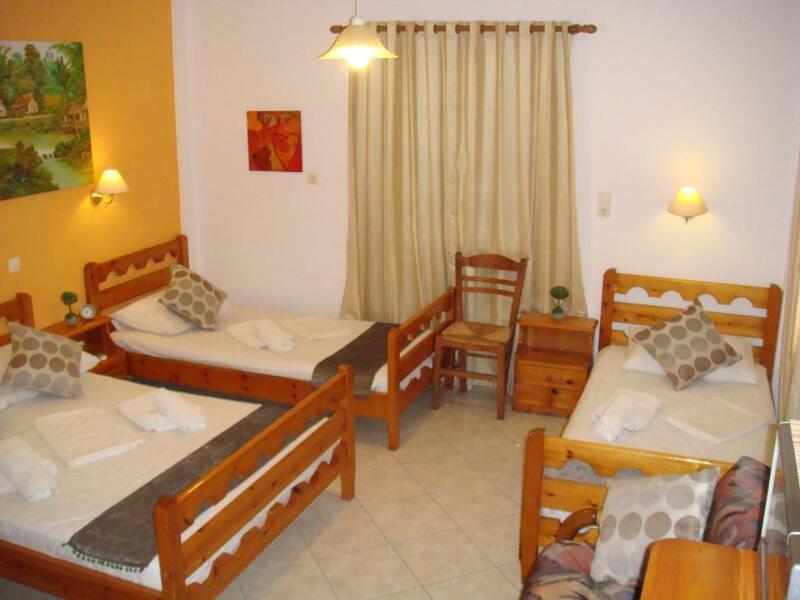 Within 1,650 feet from the nearest beach, Boussetil Rooms offers air-conditioned accommodations with free Wi-Fi access. 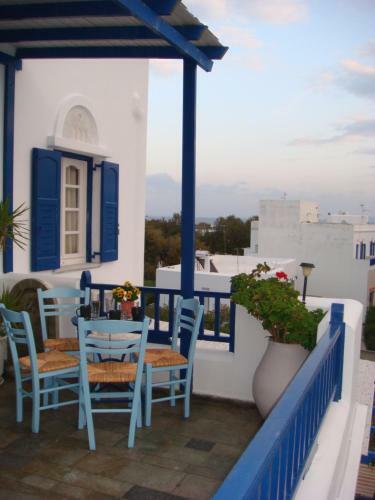 Tinos Port is 2,300 feet away. 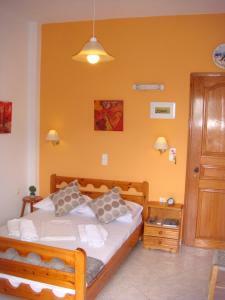 Boussetil rooms and studios are equipped with a TV, mini fridge and iron. They all include a private bathroom with bathtub or shower. Some units also feature a kitchenette or a furnished balcony. Right across the hotel there is a gym and a beauty center. A super market and a bakery can be found at 150 feet. The property can offer car rental service at extra charge. The sandy beach of Agios Fokas is 1,650 feet away from Boussetil. Panagia Evangelistria Cathedral is 2,300 feet away. 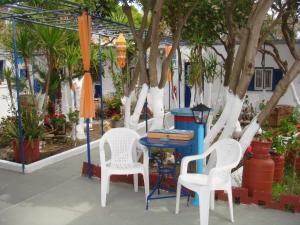 Within walking distance guests can also find cafes and traditional taverns. A bus stop is located just 50 feet away and free parking is available near the property. 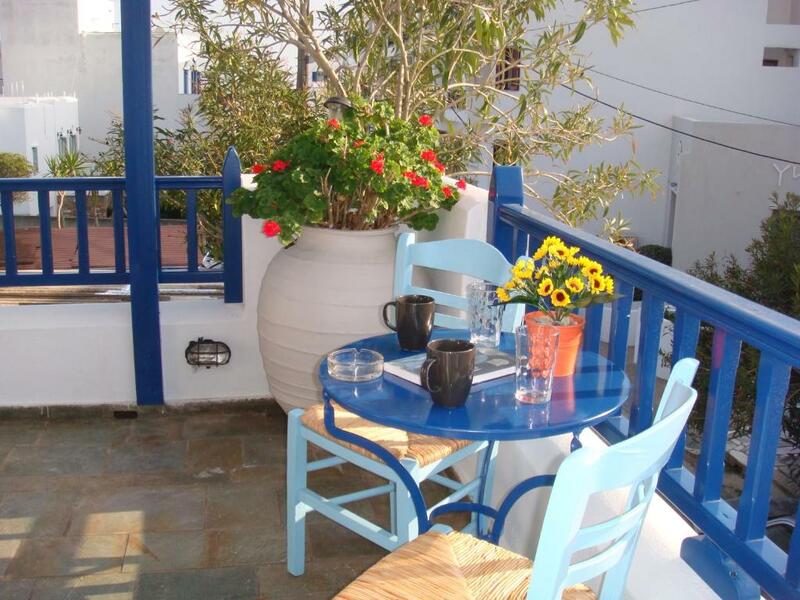 뀐 Located in the top-rated area in Tinos, this property has an excellent location score of 8.3! 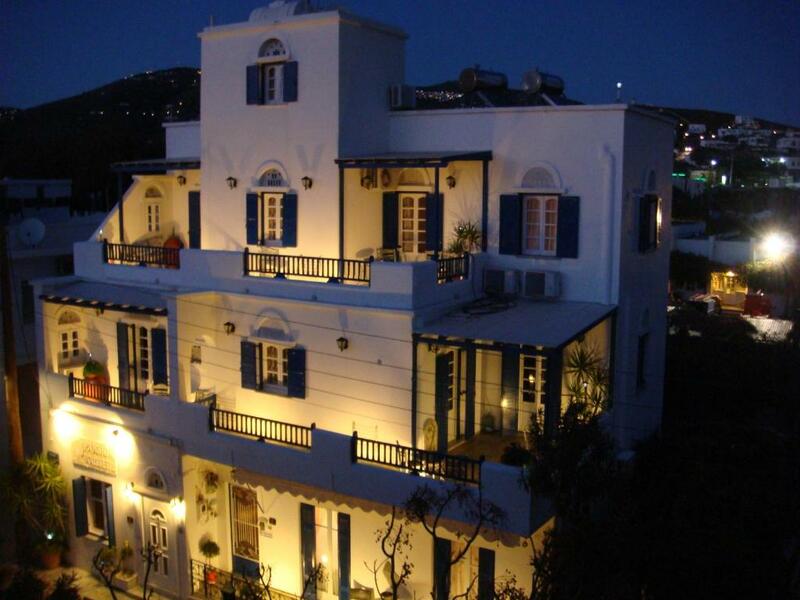 When would you like to stay at Boussetil Rooms? Located at the rooftop terrace, this air-conditioned room comes with a TV, mini fridge and iron. Please note that this room type cannot accommodate an extra bed, but it has a semi-double bed that can accommodate 2 guests. 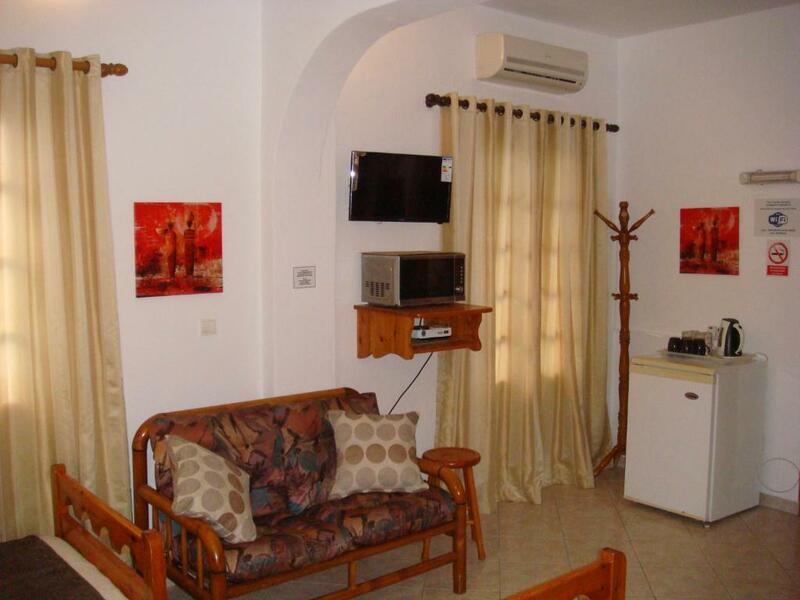 Featuring a furnished balcony, this air-conditioned room comes with a TV, mini fridge and iron. Featuring a furnished balcony, this air-conditioned studio includes a TV and a kitchenette with teakettle and mini fridge. These rooms are on the ground floor and offer view of the garden. There is no capacity for an extra bed. Budget double room is located on the first floor. It features an external private bathroom with WC and shower. Από το 98% των θετικών σχολίων του καταλύματος μπορείτε να καταλάβετε ποιοι είμαστε...!!!!! Σας περιμένουμε για αξέχαστες διακοπές μόνο στο BOUSSETIL ROOMS...!!!!! το μονο που εχω να πω ειναι.... ελατε να μας γνωρισετε...!!!! Σε ησυχη γειτονια και πολυ κοντα στο κεντρο με τα ποδια.....!!!!! House Rules Boussetil Rooms takes special requests – add in the next step! Please inform Boussetil Rooms of your expected arrival time in advance. You can use the Special Requests box when booking, or contact the property directly using the contact details in your confirmation. The bathroom is a bit small, but very clean. Good service. Air conditioner, fridge. Comfortable and quiet. You get what you see in the photos. The unified space of the shower and the bathroom. We were neither collected or dropped to the port as stated, we walked to and from with our bags. Sheets weren't changed daily, shower very small basically a toilet built into a shower room. Mathos is a great host. He picked me up from the port and he was super responsive and willing to help. Great value for money.